I haven’t had a regular blog post about running since April, but that doesn’t mean that I haven’t been running. 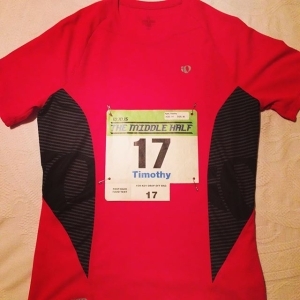 Actually, tomorrow I am planning to participate in the Murfreesboro “Middle” Half Marathon, which will be my first race since early May 2014. My goals are very modest relative to some of my finish times over the past 5 years, but I am extremely grateful to be back on the road running again. Last August I was in the latter stages of a hard-core training plan for the St. George Marathon when I found out that my mom had cancer. Exactly 5-weeks later she passed away suddenly on a Saturday morning, and running took a significant back-seat to many other things in life. Not only did running become an extremely low priority, but I also lost my desire to run. 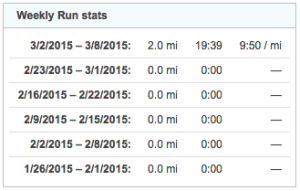 I went from running 6-days every week to only running 6 times TOTAL from September 13, 2014 through the end of February 2015. I believe it was in January or February that my friend Brian began reaching out to me in earnest, trying to get me to join him for morning runs. I eventually agreed, and slowly stared running with him. At first it was only 2 or 3 times per week, but eventually I worked back up to consistently running 4 to 5 days each week. However, without Brian I’m pretty certain that I would still be on the bench and NOT running. 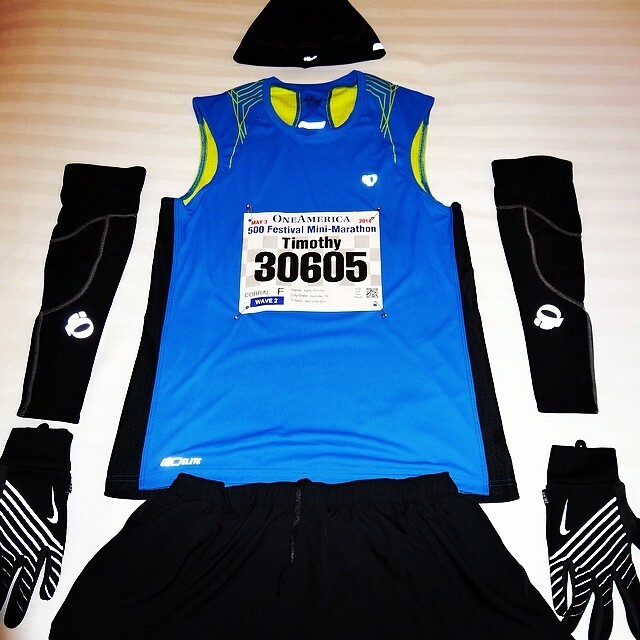 I owe him a lot for helping to get me back out on the road, and not just because of the physical benefits of running. I was in a dark place emotionally dealing with my mother’s death, and Brian’s effort to get me back into running has helped me more emotionally than it has physically. My fitness now is nowhere near what it was a couple of years ago, but I’m excited about running in a race again alongside my friend who helped me get back to the starting line. Earlier this week the Apple Watch was formally presented to the world after being initially introduced last Fall. This has definitely generated a lot of buzz around the world, but is it warranted? I have no doubt there are millions of people who love the idea of getting email, texts, iPhone notifications, etc. on their watch, but this is something that has never interested me. 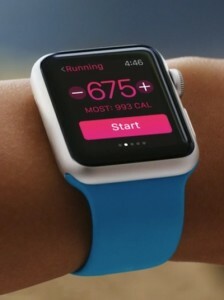 However what about using the Apple Watch as a robust activity tracker? I am an avid runner that has completed 13 marathons, 16 half-marathons, and logged almost 8,500 training miles since 2009. Most of those miles were tracked using various Garmin Forerunner GPS watches (305, 405, 220), and I would consider a good GPS watch as an essential tool for serious runners. None of these Garmin watches have been perfect (especially the 405), but they are generally pretty accurate, easy to use, lightweight, water resistant, and work with my online running log. Apple is obviously hyping the watch as a tool for tracking activities, and the launch event even featured Christy Turlington Burns (former model and current marathoner) to extol the virtues specifically for runners. The low-end Apple Watch is in a price range ($359) that is competitive with Garmin running watches, so could it replace my Garmin for tracking running and provide a LOT of additional features to boot? While this has never been a secret, I don’t think most people immediately realize that the Apple Watch does NOT have a built-in GPS. It is totally dependent on the iPhone for GPS based activity tracking. So if a runner wants to be able to track things like pace, route, mileage, etc. they would have to wear the Apple Watch AND carry an iPhone. This was something that never came up in the discussion with Christy Turlington Burns at the launch event, and is an absolute deal breaker for me. When paired with an iPhone, it appears as though the Apple Watch can track almost anything I would desire as a runner (and it will integrate with many online running sites). However, when I run, I want to carry as little as possible. I see lots of people running with an iPhone strapped to their arm, but I rarely see this with long distance, high mileage runners. The thought of running with an iPhone just sounds miserable to me. Maybe in future versions the Apple Watch will be a viable tool for distance runners, but right now it is not ready for prime time. Today’s 2.5-mile effort was completed in the leftover ice and snow from yesterday’s winter storm. Brian loaned me a pair of “Yaktrax” to slip on over my shoes, and they worked surprisingly well. Just over a year ago I slipped on ice while running and broke the ring finger on my left hand, so it was nice to have a little extra help this time. We kept the pace very “chill” to go with the 8º temperature at the start of the run, and most everything went well except for my numb face. Starting to feel the excitement from regular running again. Really looking forward to meeting up with Marc and Brian tomorrow for a slightly longer run on the Vaughn’s Gap Cross Country course. Well, Day 2 of my running comeback was in a cold and steady rain. When I mentioned to Brian that a cold rain was definitely not what I was hoping for, he joked, “Aren’t we only supposed to have cold rain in November,” which of course was a reference to the well-known song by G’n’R (see video below). In spite of the rain, it was still a good 3-miler. It wasn’t fast, and I still have a long way to go, but I’m pleased that I can take 6-months off and still run 3-miles without stopping. Hoping to get in another 2 to 3 miler between now and Saturday, and then try for a 4 to 5-miler on Saturday. 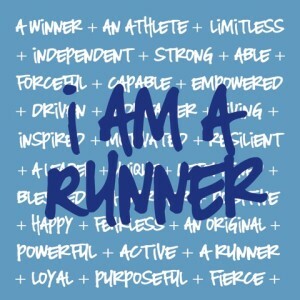 I AM A RUNNER….though anyone examining my activities over the past 6 months would have a hard time finding any evidence of this. I stopped running, disconnected from my running group, started eating anything in front of me, and have just generally let myself go the past few months. I know running is part of my DNA, but I’ve allowed LIFE to completely get in the way. Personally, this has been a very emotionally trying time, and I’ve allowed it to overwhelm me. The irony is that running has been the BEST emotional outlet for me, and probably would have greatly helped my overall emotional health during this season of my life. In recent weeks my neglect of running and healthy living has begun to make me ANGRY! Well, it’s time to stop just being ANGRY and actually starting WORKING. To that end….Yesterday morning I met my friend Brian and we completed a very humbling 2-mile run together on the Harpeth River Greenway. It was a long way from completing a 3:12 marathon, but it’s a start. I also ordered a new pair of running shoes last night, and plan to meet Brian again tomorrow morning. I’m hoping to pick out a fall race soon to target as further motivation to keep going. This will likely be a half-marathon, with my eyes on a return to marathoning next Spring. 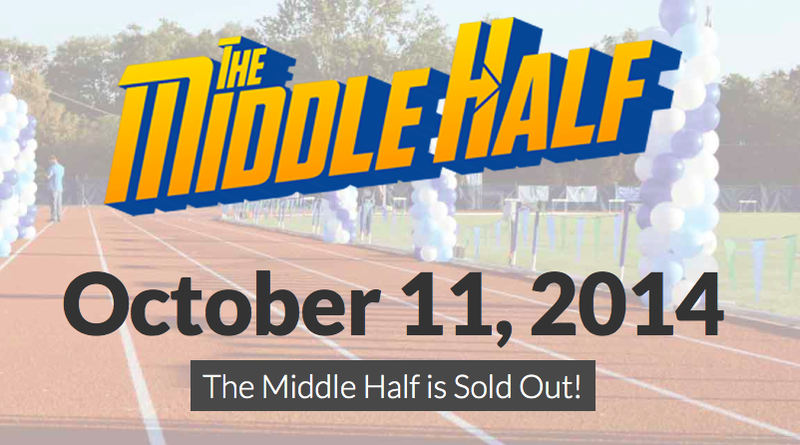 The Murfreesboro “Middle” Half Marathon – We’re In!! The last race Olivia and I did together was the Rock n’ Roll New Orleans Marathon / Half Marathon back in February 2013. Both of us have suffered multiple injuries since then (Olivia even had to spend 8-weeks in a boot), but we are hopeful to make our return to completing races together this fall at the 2014 Murfreesboro “Middle” Half Marathon. After registration opened at 10am yesterday, it sold-out early this morning, but Olivia and I both got in! She decided to sign-up on a whim last night while we were having dinner at Ruth’s Chris before heading to TPAC for War Horse. This is one of my favorite races, but I’ve missed the last two with injuries. Olivia has never participated in the Middle Half, so this will be her first chance to experience this great event. Even though the race will only be 7 days after St. George, I really wanted to run it this year! Half Marathon no. 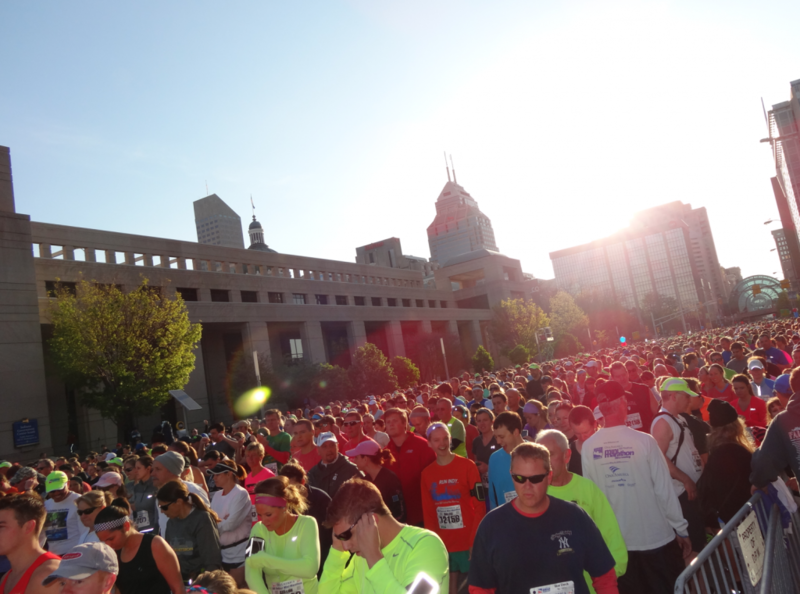 15 is in the books at the @500Festival #IndyMini, with a finish time of 1:42:16. Ran conservative and enjoyed this one. 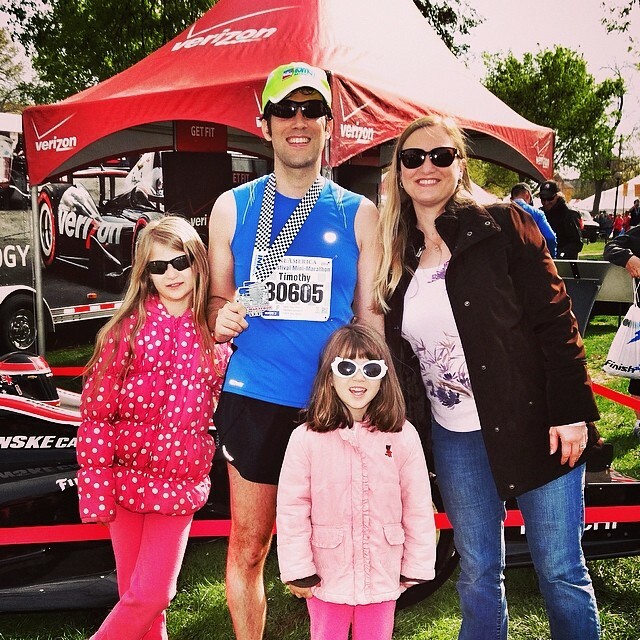 Best part was getting a high-five from my girls just before crossing the finish line! 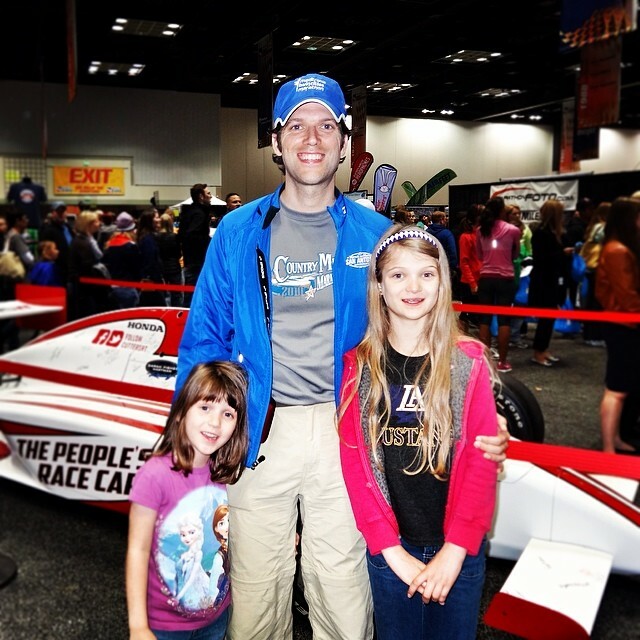 With Kate & Sara at the @500Festival #MiniMarathon Expo…picking up my race packet for tomorrow.